While for some of us, the election date has been permanently stamped in our brains. For others, it could easily be forgotten. Don't forget to vote this Tuesday, October 14th. I have heard from individuals wondering about strategic voting. I want to be the MP for Perth-Wellington. That being said, I want people to vote for me, not against someone else. I see the NDP platform as strong and myself as a strong candidate. 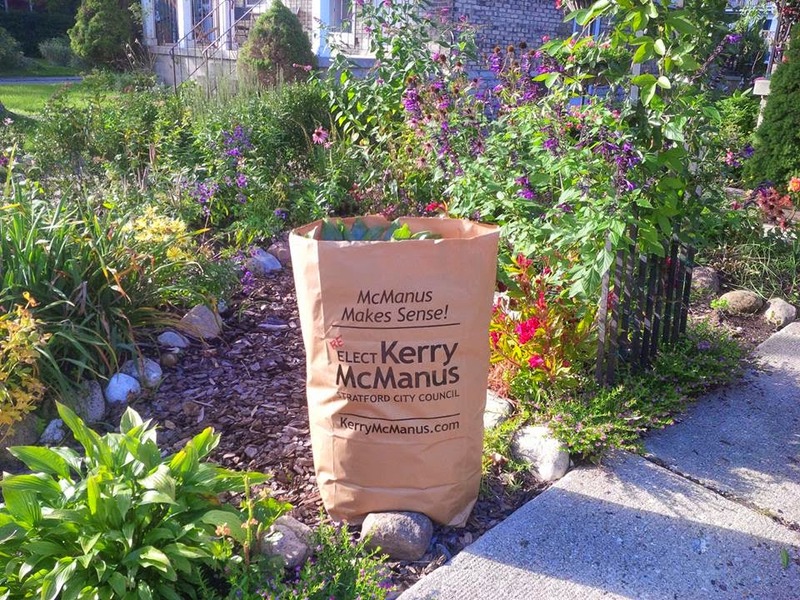 I encourage you to encourage family and friends to check out http://www.ndp.ca/ and http://www.kerrymcmanus.com/ for more info. Time is running out and while I know there's lots of support, your help could make the difference in who becomes the MP in Perth-Wellington. Please help make sure everyone has the information they need on me and the NDP. Specifically, please consider emailing and/or talking to family and friends; inviting your friends to the facebook group - Elect Kerry McManus MP Perth/Wellington and changing your profile pic to the 'Elect Kerry McManus' sign for two days. The percentage of eligible voters who normally don't vote is huge. I believe that if we could reach more of the voters in our riding, we could see a huge voter turn-out and win this election.